The all-new 2019 Mercedes-AMG® C 63 is a powerful and high-performance member of the Mercedes-Benz C-Class. It boasts a handcrafted V8, 4.0-liter biturbo engine that puts out 469 horsepower in the C 63 and 503 horsepower in the C 63 S. Both models are equipped with a revolutionary AMG® SPEEDSHIFT® MCT 9-speed transmission, AMG® RIDE CONTROL suspension with adaptive and adjustable damping, AMG® Performance Steering Wheel with Touch Control Buttons, and AMG® DYNAMIC SELECT which consists of 6 drive modes: slippery, comfort, spot, sport+, race, and customizable. For many years, the Mercedes-AMG® C 43 sedan has been the best-selling vehicle in the Mercedes-AMG® line. The all-new 2019 Mercedes-AMG® C 43 sedan combines performance with a sporty design and upscale interior. The C 43 is powered by a new AMG®-enhanced 3.0-liter V6 biturbo engine that boasts 385 horsepower and 384 lb-ft of torque and features an AMG®-SPEEDSHIFT® TCT 9-speed transmission, AMG® Performance 4MATIC® all-wheel drive system, AMG® RIDE CONTROL sport suspension, and Intelligent Driver Assistance Programs. The all-new 2019 Mercedes-AMG® GT 4-Door Coupe builds upon the legacy of the GT coupe and features a low hood, muscular body, and aerodynamic exterior. The 2019 Mercedes-AMG® GT 4-Door Coupe is powered by three powerful engines. Two hand-crafted AMG® V8 engines power the GT 63 and GT 63 S, while an AMG®-enhanced 3.0-liter inline-6 biturbo engine with EQ Boost powers the GT 53. For the most powerful GT on the road, choose the GT 63S. It boasts 630 horsepower, 664 lb-ft of torque, and can accelerate from 0-60 in as little as 3.1 seconds. Preserving its iconic and classic design, Mercedes-AMG® adds on the G 63 to produce the most powerful and intelligent G 63 ever produced. The G 63 is powered by a handcrafted AMG® 4.0-liter V8 biturbo engine that puts out 577 horsepower and 627 lb-ft of torque. It can accelerate from 0-60 mph in as little as 4.4 seconds. The new AMG® Performance 4MATIC® all-wheel drive system features a 40 to 60 front/rear torque distribution which gives maximum traction during acceleration. It is equipped with an AMG® SPEEDSHIFT® TCT 9G transmission, AMG® RIDE CONTROL suspension, LED high performance headlights and taillights, and AMG® performance steering wheel. The all-new 2020 Mercedes-Benz EQC is an all-electric vehicle that provides an impressive combination of comfort, style, performance, and technology. It features new compact electric drivetrains found at each axle which gives the EQC the sporty characteristics of an all-wheel drive system and provides 402 combined horsepower and 564 lb-ft of torque. The 2020 EQC utilizes the all-new MBUX media system which uses artificial intelligence to learn your driving preferences and help manage the charge status, energy flow, range display, and other features. The all-new 2020 Mercedes-Benz GLE SUV combines innovation and performance. It uses the all new Mercedes-Benz User Experience system (MBUX) to learn your driving preferences, respond to commands through the Intelligent Voice Control feature, and control important vehicle settings. Under the hood, the GLE is powered by a 3.0-liter V6 engine that boasts 367 horsepower and 369 lb-ft of torque with EQ Boost in the GLE 450 4MATIC®. 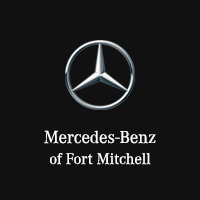 It features a 12.3-inch digital instrument cluster, 12.3 inch touchscreen infotainment display, and LED headlamps and taillamps. .
We invite you to visit our Mercedes-Benz dealership and check out our entire line of 2019 vehicles. Our customer service is incomparable, so stop in today! * European models shown in some images.